This year is a year of change for many, but for Rapid Packaging it’s a year of gratitude. Rapid Packaging closed out 2015 with a record year catapulting us into our 40th anniversary year in 2016. We are truly grateful for the long-term partnerships that have grown with us throughout the years and want to recognize and thank those who have been with us on our journey. 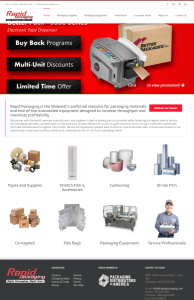 To start the year, Rapid Packaging is pleased to unveil our new website. We chose to collaborate with CircaVista (www.circavistadigital.com) in design and website functionality. The new website hits on two major points of emphasis: (1) deliver a professional looking website that highlights our major product lines and that’s full of information so people are well-informed before they ever make contact, and (2) communicate our message that Rapid Packaging is the company that people want to work for and do business with, and our success is built on relationships and the people that make it happen. People and relationships, both inside and outside of the company, are the reason we are proudly celebrating 40 years in business, and we wanted this to be a major highlight of the new website. Now, visitors can get in depth detail about our product lines including spec, videos, and brochures, as well as get to know the names and faces of Rapid Packaging. 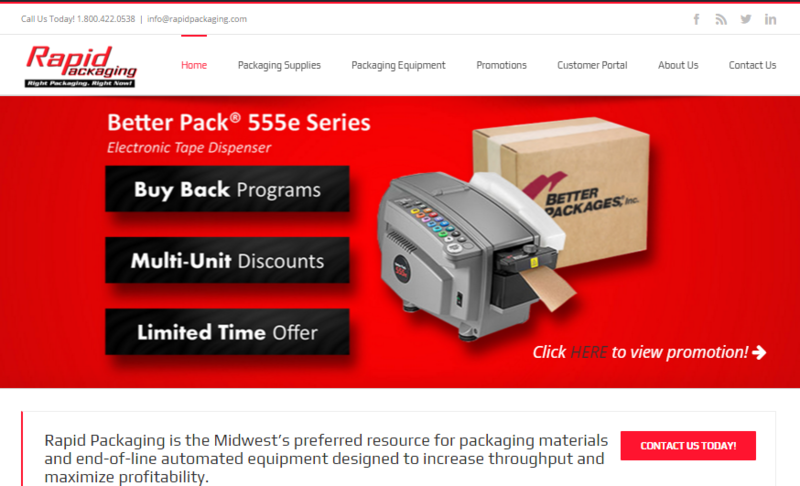 Some added features include a monthly specials page with tremendous deals and price cuts on popular packaging supplies, current promotions, upcoming events, and insight into the history and culture at Rapid Packaging. 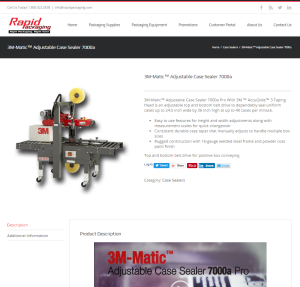 Please join us in celebrating this milestone year and check out all the new features on our new website at www.RapidPackaging.com. Contact us directly to discuss packaging solutions further and thank you for partnership. Laura has been the marketing manager at Rapid Packaging since 2015.